Although it’s probably known as a hub for popular restaurants & nightclubs (such as Hooters, Zirca, etc. 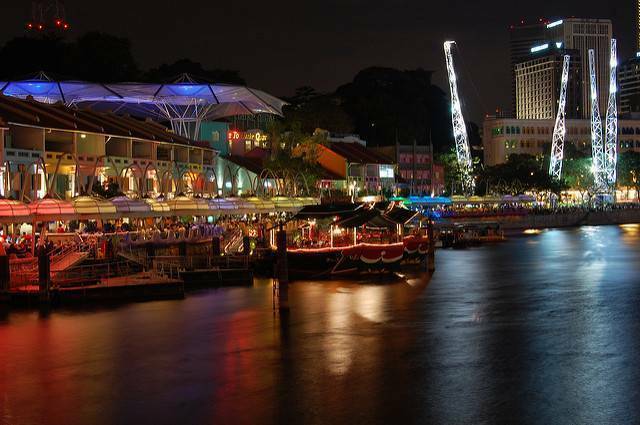 ), there is more to Clarke Quay than what meets the eye. Located on the banks of the Singapore River, this neighborhood allows visitors to not just take in picturesque views but also pass historically significant bridges such as those of Clemenceau and Anderson, and important landmarks such as the Merlion & Esplanade. For adrenaline seekers, the G-Max Reverse Bungee is a hotspot, especially when this bungee structure illuminates at night. Another option for those craving thrills would be Lockdown Singapore, a real life escape game where players get locked and collectively work together to get out with the help of clues. Central Fire Station might not be your top choice of visits but its traditional red & white colonial exterior convinces you otherwise. On the inside is the amazing Civil Defence Heritage Gallery, where people soak in the intriguing history. Art-2 gallery has showcased some of Singapore’s finest painting & art installations, which makes it a must visit. Hong San See, a 100 year old Chinese temple is the place to be for those who love history. As for cinema lovers, the 75 seat cinema of Art House Screening Room couldn’t be more perfect. Take Singapore River cruise from Clarke Quay itself and cruise the river, taking advantage of all the interesting tourist attractions along the river.